The music business is a dirty corrupt place. Record company owners and executives, talent scouts, radio dj's, music publishers, managers, agents, promoters, lawyers, venue owners, producers, and several other business types have the means, motive and opportunity to exploit and cheat musicians. It's the rare musician who has avoided these problems over the course of his or her career. In the bad old days such exploitation was common. 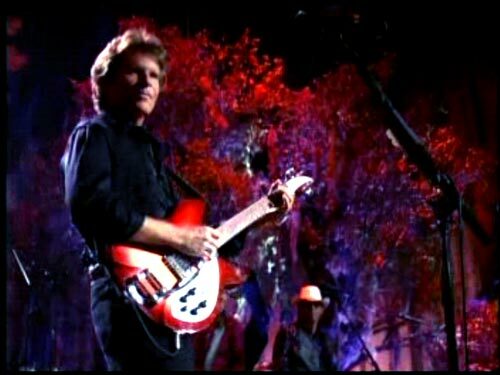 As frontman, lead guitarist, primary songwriter and singer for the California bred Southern sounding roots-rock band Creedence Clearwater Revival (CCR), John Fogerty is famous for his songs, his style and his distinctive almost prophetic voice. He is also famous for being ripped off by his record company owner and publisher, Saul Zaentz. John Fogerty is and was not a man to suffer quietly. John Fogerty apparently can hold a grudge like nobody's business. 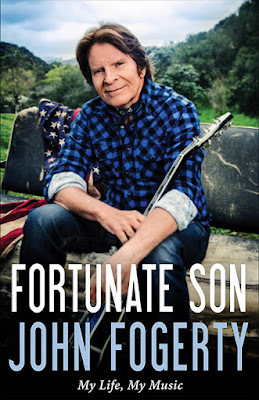 Fortunate Son is an autobiography and hopefully an act of catharsis. I can appreciate someone who is forthright. If you step on John Fogerty's foot, he is not going to be quiet. He will tell you to get the f*** off his freaking foot! He will then continually remind everyone of the time in 2017 when you stepped on his foot. Your mileage may vary on this. If someone cheated you out of payment for and ultimately ownership of songs that you wrote, and then later had the audacity to sue you for plagiarism for sounding like yourself(! ), you also might become a bit irritable. Would you let this disrupt a sibling relationship? Well maybe, maybe not. It's hard to say until you're in that situation. This book is divided into three sections. This setup will be instantly familiar to anyone who has watched similar stories on VH1 or BET. First, Fortunate Son gives us the happy early days. John talks about his interest in black music, or what was called "Race" music in the forties and fifties. He was a big fan of people like Little Richard, Chuck Berry, Carl Perkins, Gene Vincent, Elvis Presley, Johnny Cash, Jerry Lee Lewis, Ray Charles and several other early rockers, country musicians and electric bluesmen, particularly Howling Wolf, whose phrasing and cadence John adored. John and his brother Tom were musically inclined youngsters. John describes trying to grasp Elmore James licks or watching people stumble playing Ray Charles riffs. Fortunate Son's middle part describes the Fogerty brothers' rise to fame and fortune. Despite being four years younger than Tom, John was the dominant personality. He was more musically talented. To hear John tell it, and this motif is repeated throughout the book, his brother and other band members were almost incompetent musicians. Without John explaining and demonstrating concepts, no one would have accomplished anything. Was this true? I don't know. Most bands have members of differing talent and ambition levels. Many great songwriters and musicians are unpleasant perfectionists and workaholics with a low tolerance for other people's mistakes or musical interests. But even in a book written by John Fogerty that puts himself in the most flattering light, the reader can soon see why and how his fellow bandmates might not have appreciated John's tone or attitude. This would cause big problems later. When CCR considered signing with Saul Zaentz's Fantasy Records John Fogerty claims he asked a band member to have his lawyer father and accountant friends review the contract to make sure it was ok. John states this was never done, despite his buddy saying he did it. Other people remember this differently. Regardless, CCR signed with Fantasy. John Fogerty made the biggest mistake of his career. Zaentz almost ruined him. 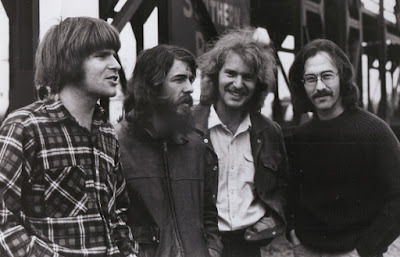 The book's final section details the CCR breakup, numerous and unending legal battles with Saul Zaentz over everything, the slow collapse of John's relationship with his wife Martha and his brother Tom, financial problems and IRS issues, court battles with ungrateful band members, John's challenges with alcohol, depression and anger, the loss and rebirth of his creativity and his life saving love with new wife Julie. I think this book ends on a positive note. But John includes a lot of score settling and "This is why I won't talk to this guy" and "That is why he's a dummy" asides. I could have used less of that stuff. Band members complained that John was too controlling and did too much of the songwriting and producing. John let them write and produce their own songs for CCR's next record. The results weren't good. At all. Some band members accused John of taking not so hidden joy in this fact. His wife adds her impressions which are mostly positive and centered on John. John shares his inspiration for writing some of his best known songs. I was surprised to learn that Run Through The Jungle is actually an anti-gun song inspired in part by the number of guns in America and the Charles Whitman murders and not, as widely assumed, about the Vietnam War. However these insights are occasionally marred by Fogerty's obsessive need to point out that the drummer was late here or that he had to simplify the bass line for the lazy bassist there. We are all mixes of good and evil. I think that John Fogerty has brought more good than bad to the world, though his late brother (they never did reconcile) and former bandmates might disagree. This book will appeal mostly to people who are already CCR fans. Musicians and gearheads may appreciate some technical discussions about amps, guitars and recording techniques. I love Fogerty's song As Long As I can See The Light. Fogerty's song Fortunate Son is still relevant. Fogerty's version of Suzie Q is the best Howling Wolf song that Wolf didn't write. John Fogerty remains proud of having written Proud Mary and a bit prickly about that song being so closely associated with Tina Turner. John Fogerty embodies George R.R. Martin's quote that art is not a democracy.